We are thrilled to finally be able to give you a taste of even greater things to come. 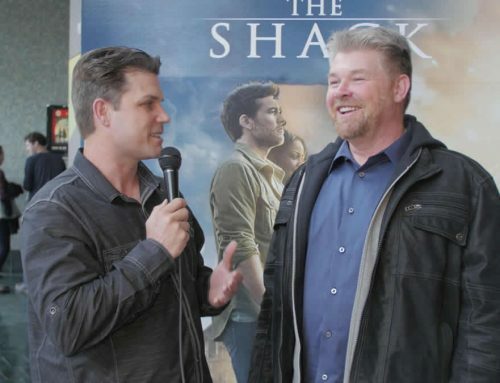 The Official Shack Movie Trailer has been released. Check it out and ENJOY! Then share it far and wide with all your family and friends. March 3rd, 2017 cannot come soon enough – but save the date, and we’ll see you in theaters soon. 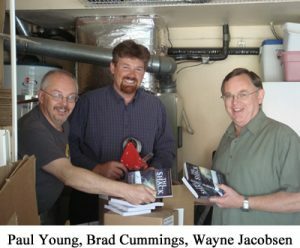 It has been an amazing journey from the early days of shipping books out of my garage, to the unexpected tsunami of demand for an unlikely runaway bestseller that had been turned down by 26 different publishers—a story from three rather unknown “yahoos” who found a shared friendship in their own journeys of adversity, having each encountered God in the midst of their trials, who were drawn together to craft a story to unveil God’s incredible heart of love for us precious, yet broken people, and how God can crawl into the midst of some of the most horrible tragedies and bring forth healing out of unspeakable pain. He is an incredibly good God who is especially fond of each of us. 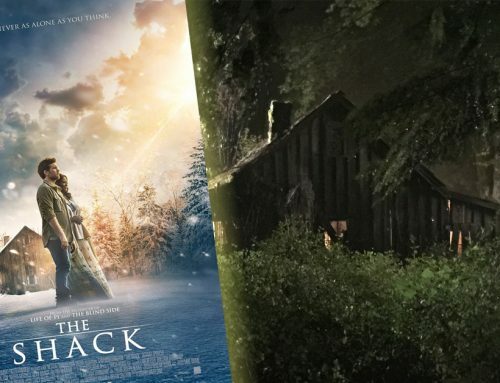 Some 22 million copies later, having been translated into 40+ different languages, The Shack as a book has impacted millions of lives all over the globe; now as a movie we have the opportunity to see it released to an even wider audience, and take on a whole new ever-expanding chapter of life. As one of the Producers, producing alongside a dear friend of mine, Gil Netter (The Blind Side and Life of Pi ) I am thrilled with how it came out. It’s been a long, arduous journey, but as we are in the last stretch before the release, I can tell you it has been well worth the wait. Having personally written some 20+ drafts of the screenplay, spent over 4 years in film development with Lionsgate before it was finally green-lit for production, and painstakingly overseen the last year-and-a-half of labor in post production, you can be rest assured it is a faithful adaptation of the book that I can confidently declare you are going to absolutely love! I know most folks who have treasured a book are often disappointed in the movie version when it comes out, but that’s not going to be the case this time. (Seriously!) So says a host of the book fans that have screened the movie thus far. As someone who is quite proud of the book itself, and has sought to steward this story through the rather challenging waters of “Hollywood,” what has, and yet hasn’t surprised me, is how many people have commented that they perhaps like the movie even more. The co-author/publisher side of me isn’t sure what I think of that (like, Hey! … as I am momentarily defensive and tempted to offense—not really), but then the filmmaker/producer side of me starts to smile inside (like, hey, now that’s cool!) Personally, I’m torn, but being thrilled with both, I’ll leave you to declare your preference—I’m just delighted to know that if you have loved the book, you will be thoroughly pleased with the movie and are likely to be deeply moved afresh. (Wayne Jacobsen—the other of the original 3 amigos—was tearing up just seeing parts of the rough cut. He’s going to ‘lose it’ when he gets to see the final version with the full musical score and all the completed effects—and that’s for a guy who doesn’t often cry.) I can’t wait for you all to see it, and hear what you think. We wanted the movie to be wonderfully faithful to the book, but as movies are a different medium for storytelling, I also wanted this to be able to be a new experience of that same beloved story—both for books fans, and first timers who have never read the book. Books are not movies, and movies are not books—as we experience and engage with them differently, but the one common denominator as a storyteller is a genuine desire to midwife for others the opportunity to feel something, to have their own personal encounter that emotionally allows the story to come to life, not dictate or tell people what to feel, because that robs them of the magic when the story becomes “theirs,” but present an inviting door that allows them to enter in. The Shack movie does that. You will want all your friends to see this. 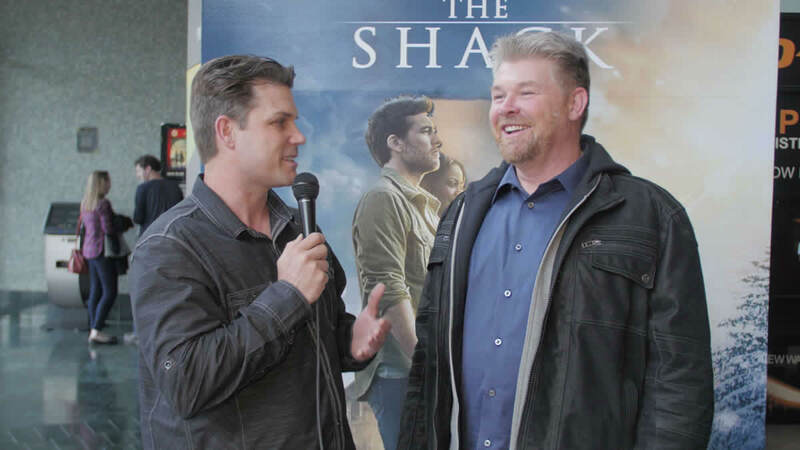 Some of my favorite comments thus far have been: “Hollywood finally gets it right!” and “The Passion showed us what, but The Shack reveals why” – I love that! Even some angry atheists who came expecting to hate it, probably had some of the best responses: “If that is what God is like, then I’m kind of interested” and “This movie asks the questions that have bugged me most of my life, and it didn’t impose a conclusion on you –it made me think!” Again, how cool! We’ll be adding more and more movie release updates and new content as we go. Stay tuned! We’re creating a bunch of new interactive content for community discussion exploring more in depth some of the themes from The Shack which will be entitled “Papa’s Heart to Heal.” We’re also in the process of upgrading the forum/community discussion section in preparation for a whole new wave of folks being drawn along this journey. If you are new to all this, “Welcome” – if you have been gone for awhile: “Welcome Back!” Wherever you find yourself along this journey, we’re simply wanting to provide some good food for thought. 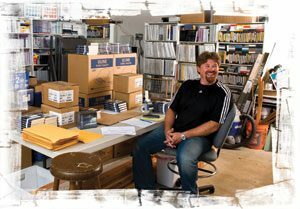 No agenda to peddle, just excited about what Papa is doing and excited for the journey ahead as the Shack takes on a new chapter. 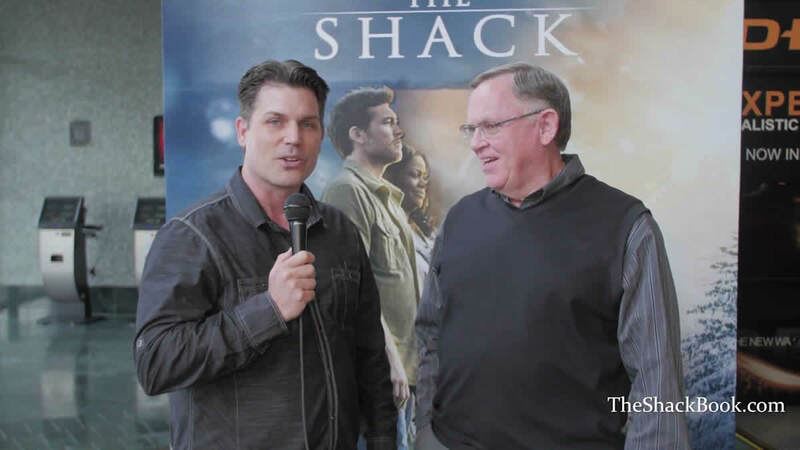 If you have never taken a look at “The Shack Reflections—Daily devotional”, check it out. 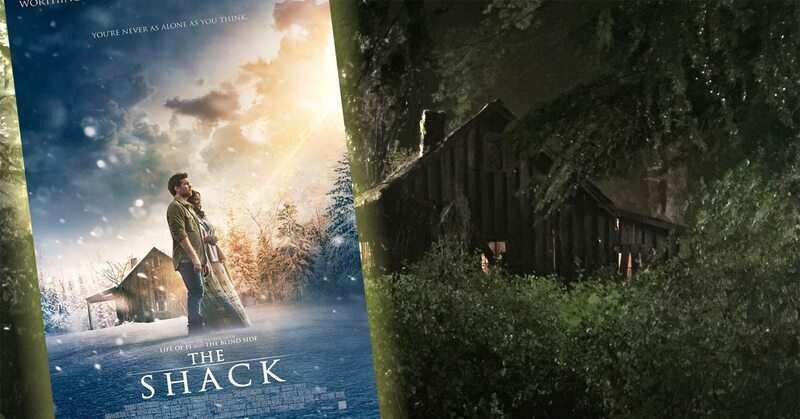 There is a new movie-tie-in edition of “The Shack” as well as a newly released “Shack Study Guide” that has some wonderful reflective questions for small groups to explore together or just food for thought on your own personal journey as we are all learning what it is to “live loved” — That’s part of your flying lesson! May you know what it is to be “rich” in all the ways that matter. P.S. 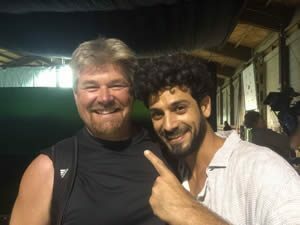 That’s me and Jesus (Aviv Alush) I can’t wait for you to meet him! I just read this book. Couldn’t put it down! I’ve been a believer for 25 years & love experiencing God/trinity in this non religious way! It is so refreshing! I’m going to read it again & again to let it wash over my spirit. I just finished reading this book after a patron at my local library had suggested it! I am reading it again for the second time. I really really liked it and I feel the message in it. Don’t take the bad reviews – this book is a good one – a keeper. Jesus, God and the Holy Ghost is what and who we need them to be – when we need them. I for one am so glad that they are with me. Best wishes on your success! – And for those that haven’t read it – You are missing something huge. Can’t wait for the movie to be here in South Georgia! – Come on March! 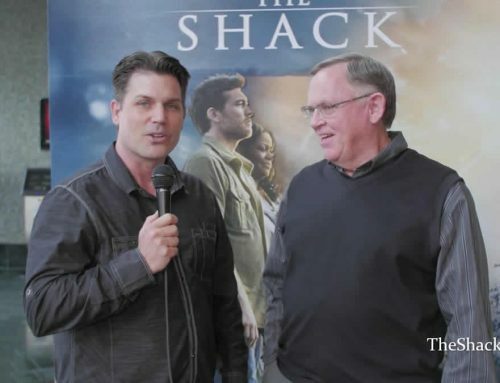 I finished the book The Shack and want to see the movie, This book moved me more than any other book I have ever read and finished, it open my eyes to Jesus and God and made my loving them more clear ,even with great Pain sorrow and loss. I know there will be some who will not approve of it and I am sorry if it offends you,but for me personally I have found my way to a closer relationship to our Lord Jesus Christ. I love the book, I saw the move, but I have a question, Who is the woman in the cave with the father, who saw his daughter playing. I just finished watching the movie with 3 friends and also read the book few years ago; wow what a book gave away number of book to those who are searching and fellow. I am so glad it was turn into a movie and wasn’t disappointed;what can I say,amazing book keep it up.God is greater than mans ways so I say think outside the box. God is bigger than our thought and knows the soul and heart of man. I share parts of this book with my youngest son few years back before he pass away and so glad that I did. May the Lord Bless for it. 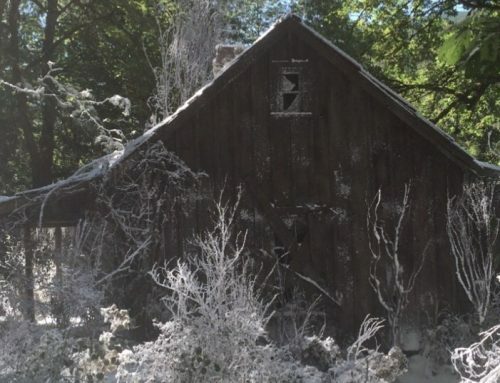 I read The Shack some years ago, didn’t care for it, and forgot about it. When recently visiting my sister she suggested we watch the movie, and what a difference. Upon returning home I have re-read the book, and intend to get my own copy to re-read again. In the interim since first reading The Shack I have been led to so many books, one leading to another, outside my denominational party line, and changing my understanding of who God is. I think this latter journey began some time ago with Jeremiah 33:3. I am seeing things I had only vaguely hoped before. God says “all” in so many places in the Bible, such as Colossians 1:20. Why would He say all if He didn’t mean all? Reading your comments I understand universal salvation is not your belief, but I am coming to the belief God’s intent is to redeem all of His creation. Psalm 100 says God’s mercy is everlasting. Why would God give up even one of His creatures? He has all of eternity to heal the most broken of us. I have more hope and less fear than I have ever had. Your story helps enormously. Tried to post this comment and was told I had previously posted this comment, but this is the first time to theshackbook.com unless I accidentally hit the Post Comment twice. Please let me know.